Our academic directors, Sriman Pranava prabhu and Sriman Krishnabhishek prabhu were both in Kolkata during December affording us the opportunity to hold our second annual general meeting. In attendance were Pranava dasa, Krishnabhishek dasa, Smt. Bharati Roy, Smt. Hena Basu, Sm. Sunil Gupta, Janakaraja dasa, Acyuta dasa and Hari-sauri dasa. High on the agenda was a discussion of the BRCs publishing strategy. 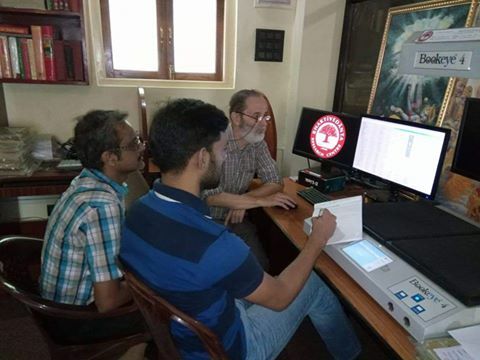 With so many old books from Bhaktivinoda Thakura and Bhaktisiddhanta Saravati Thakura still not translated into English and other languages, the BRC is keen to begin this important service to the Vaisnavas. 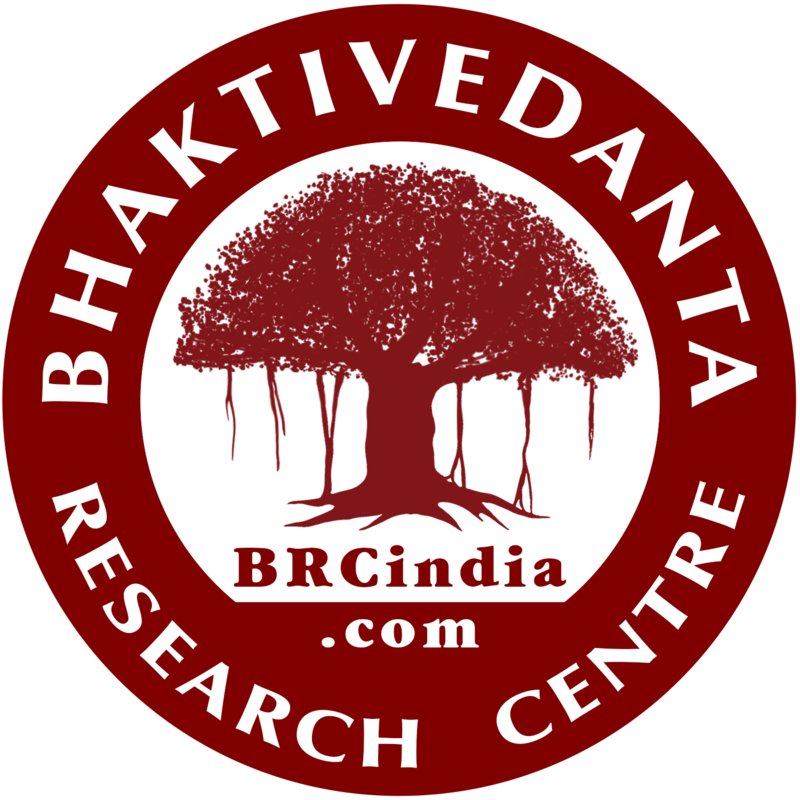 Apart from being involved with supporting the publication of works by universities and academic institutions aimed at the academic community, the BRC it will have its own publications which are written in a way that appeals specifically to the sensibilities and perceptions of the devotee audience. The goal is to contribute to a precise understanding of the roots and ancient tradition of the movement for the benefit of its members and well-wishers. One of the first books we hope to translate and publish is Padma Purana by Bhaktivinoda Thakura. Succinctly stated, the purpose of the BRC is to provide a complete philosophical and theological back up to Srila Prabhupada’s books. It will be repository of every primary and secondary source* of Gaudiya Vaisnava literature thus providing a complete set of evidence to prove that all his statements are entirely bona fide, on the basis of our sampradaya. Accessing the original writings of our sampradaya will also help researchers solve complex issues that Srila Prabhupada only adressed briefly. * Primary Source works are defined as original works from acaryas in our guru-parampara as well as commentaries on these works by our acaryas. Secondary Source works are defined as commentaries on primary source material by scholars outside of our line. Our academic director, Pranava prabhu has proposed an integrated vision of education and research for the future generations of Vaisnava scholars. ISKCON leaders have long discussed the creation of a university in Mayapur and a full educational system with links to main stream educational institutions. The BRC will play a major role in providing resources for the students. We are very excited to hear that a new branch of the Belgium-based Bhaktivedanta College is being planned for Mayapur, and is expected to begin its operations in 2012. It will offer a Bachelor degree in Theology and Philosophy, including language courses in Sanskrit and Bengali. The new College will be accredited with a University in the UK. At the same time, in Kolkata, Jadavpur University, one of the best in India, will have an area of specialization dedicated to Gaudiya Vaishnavism, giving the option to apply for a Masters in Sociology of Religion. For those who wish to go further, they will have the option of entering a Ph.D. course at Jadavpur, or for the very brightest, to apply for a scholarship at the Oxford Centre for Hindu Studies in the UK. The University of Oxford is ranked number one in the world in the Humanities, and offers also a Masters in Theology as a preparation for a Ph.D. The implications of the above are that for the first time, it will be possible for students of Gaudiya Vaisnavism to have a full fledged, first class academic education in Theology/ Philosophy/ Sociology/ History beginning in Mayapur, West Bengal, which may lead all the way up to the highest academic degree in the public educational system. Graduates will then be eligible to work in an academic institution in India or in the West, to contribute to the growth of the Mayapur College, and/or to support the development of world-class scholarship about our tradition. It will also create the basis for having highly qualified students that may contribute to the development of ISKCON in many important ways in the future. The BRC is meant to provide resources on all levels of these studies, and particularly at the Master and Ph.D. levels. It will be an important resource for any student who wants to study and research the Gaudiya tradition represented by Srila Prabhupada and his movement and also the Gaudiya Mathas. First to collect all literature referred to directly or indirectly in the books written by His Divine Grace A. C. Bhaktivedanta Swami. They will be of direct relevance for illuminating in full the philosophy of Krishna Consciousness as Srila Prabhupada presented it. Of great importance is to collect and preserve the works of the acaryas of our disciplic succession going all the way back to Sri Chaitanya Mahaprabhu. That means the works of Srila Bhaktisiddhanta Sarasvati Prabhupada, Bhaktivinoda Thakura, Baladeva Vidyabhusana, Vishvanatha Cakravarti, the Six Gosvamis of Vrindavan and so on. This is the core library of the BRC. Secondly, as per the instructions of Srila Prabhupada in Bombay in 1976, BRC will collect the essential works of other Vaishnava acaryas, particularly Madhva and Ramanuja, and even Shankara, which will place our tradition in the broader picture of Vaishnavism in India. Thirdly the BRC will collect, according to resources, secondary works, i.e. academic literature, that deals with the Chaitanya tradition, in the fields of History, Philosophy, Sociology, Anthropology, Political Science, Gender Studies etc. This will provide an additional resource for a systematic research about our tradition within the framework of what earlier scholarship has achieved. Fourth, the BRC will provide a comprehensive library of academic literature in religious and related studies for consultation on-site at the BRC facility. This will allow students in Bengal to access world class academic literature, which otherwise would be entirely out of reach due to their high cost. The location of the BRC at the heart of Kolkata is ideal for fulfilling these purposes, considering that Kolkata has some of the best research facilities in India and some of the most prestigious institutions for higher education at a very close proximity. The BRC can play a crucial role within this larger frame of a comprehensive higher education program and bring credit to Srila Prabhupadas ISKCON and the Gaudiya Vaisnava movement in general. Essential to all operations is of course, the funding. In its first year of operation the BRC was given a grant of Rs. 50,000 per month by the Mayapur Vrindavan Trust. This was a huge help and guaranteed our development. This grant expired in September and from October 2010 onwards we have been relying on membership fees, donations, plus a small income from the guest house. Participants agreed that the guest house income could and should be boosted considerably since this is currently the BRCs only way of generating income outside of our membership program. The guest house will be advertized in time to reach the attention of international devotees visiting Mayapur for the Gaura Purnima festival. Pranava prabhu suggested a new tier of membership which we have termed Nitya Sevaks  continuous contributors.